What are Liposuction Before and After Images? Liposuction ‘before and after’ images refer to a set of photographs that belong to an earlier patient who has been through the liposuction procedure successfully. The set could include multiple pictures of different areas of the body that have been treated with liposuction. The images are taken prior to the procedure and after the procedure at a time when full effects of liposuction are visible. The cosmetic surgeon will take these pictures with the consent of the patient. The goal is to educate new patients about various aspects of the procedure. The images serve as a visual aid to the surgeon during the initial consultation. Dr. Parker provides before and after pictures, wherever possible, to his plastic surgery patients in Las Vegas and surrounding communities. When a new patient decides to seek consultation for liposuction, they not have a clear idea of what the procedure may or may not do for them. In some cases, the patient may need extensive liposuction surgery spread over a period of two days, while in other cases, it may be just a minor procedure in a single area of the body. Sometimes liposuction may have to be combined with another cosmetic surgery procedure to achieve the desired aesthetic outcome. 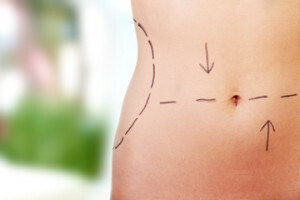 It can be confusing for a patient to decide the right treatment options or the best choice of liposuction techniques, despite the surgeon’s explanations. This is where liposuction before and after photos can play a key role to help a patient make informed choices. A plastic surgeon would always like to ensure that a patient has a positive outlook, clear aesthetic goals and realistic expectations from the procedure. Such patients typically achieve the highest levels of satisfaction from their treatment. In absence of liposuction before and after photos, there is a risk that the patient may misunderstand the potential outcome of the procedure and form wrong expectations. This can lead to an unsavory situation in the end, as the patient may feel disappointed with the actual outcome, even if the cosmetic surgeon may have performed the procedure very successfully. With liposuction before and after pictures, this type of a risk gets avoided entirely and the patient will form only realistic expectations. Some surgeons like to provide before and after photographs on their practice website. This gives free access to the pictures to anyone who may like to learn about liposuction or other procedures. New patients can access these pictures in the privacy of their home or office even before they decide to visit the surgeon for a consultation.